Backrow forward Marcell Coetzee is expected to make a return to playing from injury on Saturday when Ulster face Southern Kings at Kingspan Stadium in the Guinness PRO14. It is a boost as Ulster also look towards their massive Heineken European Cup quarter-final against Leinster in Dublin on Saturday March 30. 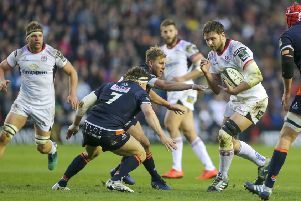 Ulster remain hopeful Iain Henderson will be available for that game, continuing to monitor his progress following a sprained knee while playing for Ireland against France. However, fellow Irish international Will Addison remains a doubt.